The Prime Minister of Ukraine, Vladimir Groysman, noted that the Norway-Ukraine partnership is a trusted partnership and the Norwegian company is one of the most desirable investors because of their advanced technology and high standards of business conduct. Affirmation was made at the meeting with the Ambassador of Norway to Ukraine Mr. Ole Terje Horpestada. 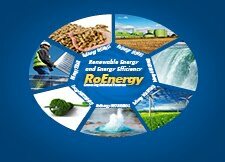 Priority areas of the partnership include energy efficiency and renewable energy. Given the potential of Norwegian energy companies in Ukraine, the parties drew attention to legislative incentives and a planned transition to a system of auctions that would form a transparent competition on the market. It is important that more than 50 Norwegian companies already work in Ukraine, including in the sector energetic "green". The planned volumes of Norwegian investment in this area reach hundreds of millions dollars. Norwegian company NBT intends to participate in the installation of a 250 MW wind power plant in the Herson region. The total investment volume will be about 370 million euros. Consideration is also given to the possibility of setting up a 750 MW wind farm in the Zaporizhhya region. Volume total investment is 1.2 billion euros. Representatives of international companies and organizations, in particular: Solar Scatec, AICE Hydro, DNV-GL, Norsk Solar, Pro Energy and others, took part in the discussion on potential joint energy projects cleanse. The meeting took place before the official visit of the Prime Minister of Ukraine, Vladimir Groysman to Norway, to be held in late January 2018.